What's funny about using DVR technology is that I developed such a dependency on this technology that now I find myself trying to rewind a radio program I'm listening in the car radio or event worst, trying to rewind some phone conversation or some real life conversation or situation. It just makes so much sense that my brain can't tell the difference between the different media, it just loves this feature and wants to have it all over the place. 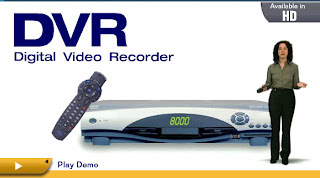 I believe there is also a value in having a DVR kind of thing for the computer usage having the latest sequences saved automatically as well as being able to purposely save computer usage images and commands and have them replay at a later time with a similar functionality as the DVR for TV. This could have a great value in many applications specifically for computer learning or knowledge management applications. Why users matter more than ever before?